What could be better then a cup of coffee with home baked warm brownies. My way of happiness is to share these brownies with my loved ones. 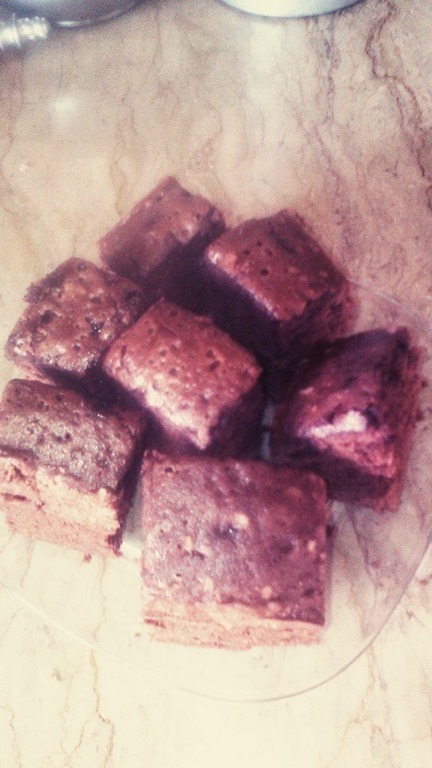 Here is the recipe of the most simple brownies. Beat eggs and sugar till they are creamy. Add coco powder, baking powder, vanilla essence, flour and oil. Mix it well. Pour in greased tin and bake in preheated oven at 180 degree for 30-40 minutes or till they are done. Take out and cut till they are warm. You can also serve them with scoop of ice-cream.